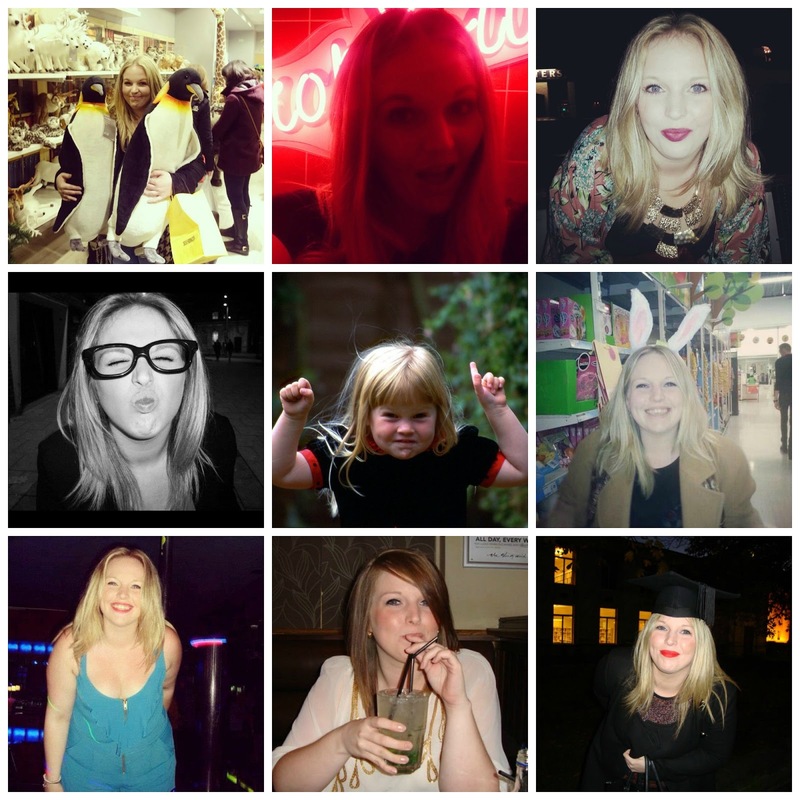 If you can't have a collage of your face on your birthday when can you and as it's my birthday I thought I would do the 50 Facts about me tag as the lovely Lauren from www.bylaurenjane.co.uk tagged me do it in November. 50 facts seems pretty difficult to come up with but I'll give it a good go. I hope you enjoy the post and Happy New Year! 1. Today is my 25th birthday. 2. I was born on the very last day of 1989 so I was an eighties baby.. Just. 3. I'm from Southampton on the South Coast. 4. I lived in Spain for five years from when I was 15. 5. I live with my boyfriend Arran. 6. We've been together two and half years. 7. I really want a kitten although a hamster will do. 8. I'm incredibly close to my family and a real home bird. 9. I'm very lucky to still have my Nan, Grandmother and my Great-Grandmother. 10. I have a little sister that I'm slowly trying to get interested in make up more. 11. I have met the five best girls through blogging, Amy, Ami, Karis, Mandy & Tanya. 12. My blog name is simply my middle name and that I write about beauty. 13. I'm yet to invest in the Malm dresser but that is being changed early this year. 14. I never went to University nor do I regret that. You don't need uni to get somewhere in life. 15. Spending a week watching a box set is my favourite thing to do. 16. I drink too much rum when I have catch ups with my wife (best friend). 18. I spend a lot of time in my pyjamas. All penguin pyjamas by the way too. 20. Trying to come up with 50 facts about yourself is much harder than you'd think. 21. I have too many lipsticks but continue to buy more. 22. I want to travel the South Pacific, New Zealand & Australia. 23. I know far too many quotes from Friends. 24. I'm seriously addicted to Marc Jacobs perfumes and own them all. 25. But Dior Pure Poison is my favourite perfume. 26. I don't like tattoos and would never get one. 27. I have 9 piercings. 28. I always smudge my nails when freshly painted. 29. I felt really empty after finishing Gossip Girl. Chuck & Blair. That is all. 30. I'm not a big ice cream fan but I don't mind a tub of Ben & Jerry's. 31. I want to visit New York at Christmas. 32. I also want to visit Iceland and see the Northern Lights. 33. I always mean to fill the pretty photo frames I buy but never do. 34. I'm 100% addicted to Instagram. 35. The Valencia filter is my most used filter on Instagram. 36. I love Sour Cream & Chive Pringles. 37. I get really bad shoppers guilt and Arran always has to reassure me it's okay. 38. I bought Yves Saint Laurent shoes from Harrods a few years ago and I've never worn them. 39. I collected TY Beanie Babies when I was younger and still have them all at my parents. 40. I also collected keyrings and had lots of the cutesy ones from Claire's Accessories. 41. I'm a real neat freak and everything has a place. 42. I want all the furniture to be white in my home. 43. I always mean to upcycle furniture but just end up looking at the pictures on Pinterest. 44. I have a big soft spot for Jimmy Carr. 45. The Tudor House in Southampton is my favourite place & also were I want to get married. 46. I drink too much Chai Tea Latte. 47. I always spill things on the cream sofa. Coffee, wine and red nail varnish to name a few. 48. I can't just sit and do nothing, I get fidgety and bored. 49. I think about Duck Gyoza from Wagamamas a lot. 50. I need a holiday. Happy birthday sweetie! Great list. I can't believe you've never worn your shoes!! Haha. I'd love to visit NY at Christmas time too. It looks magical. The Chuck & Blair one :') I know exactly how you feel! A great post hun.